The road cycling "classic" Paris-Roubaix has been taking place for well over a century. Set on the punishing cobblestone roads between Paris and Roubaix in northern France, the race is appropriately coined "The Hell of the North." The race is known as the toughest one-day race in cycling. 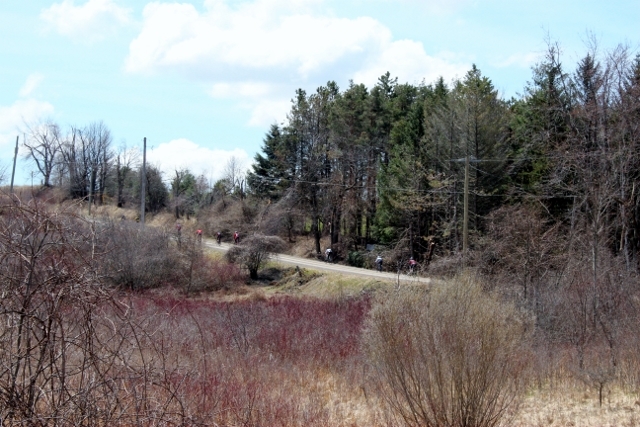 In homeage to Paris-Roubaix, Paris to Ancaster has run for the past twenty years over the roughest and toughest farm roads and trails Ontario, Canada has to offer. Combined with unpredictable spring weather and the largest field of riders Canada has ever seen, the race is an iconic experience for novices and Canadian Olympians alike. Wave 1 start line faces include Jeremy Powers, Justin Lindine, Mike Garrigan, Anthony Clark, Nathan Chown, all past or present P2A champs. 2014 saw the 21st annual running of the race with 1,100 riders in attendance. Patrick Jordan and Brad Mackenzie, inside and outside Ontario sales reps manning the mechanical assistance station. The famous 70km loop is known for copious amounts of mud and bike abuse. Such a renowned event attracts quite the VIP list as well, and this year was no different. Nine-time Tour de France and 1990 Paris-Roubaix 2nd place finisher Steve Bauer, current U.S. cyclocross national champ Jeremy Powers, 1976 & 1980 Canadian Olympian track cyclist Gord Singleton, and Canadian mountain bike multi-time Olympian and World Champion Alison Sydor were just a few of the famous faces seen this year. Critical to the life of the bikes at the event was the Raleigh Power Wash station set up for mid-race baking soda bike wash duties. Raleigh's demo fleet (six RX 1s, two Tamlands, and two RXCs) were in place as a neutral support options for riders who would have otherwise not made it to the finish due to mechanicals on course. 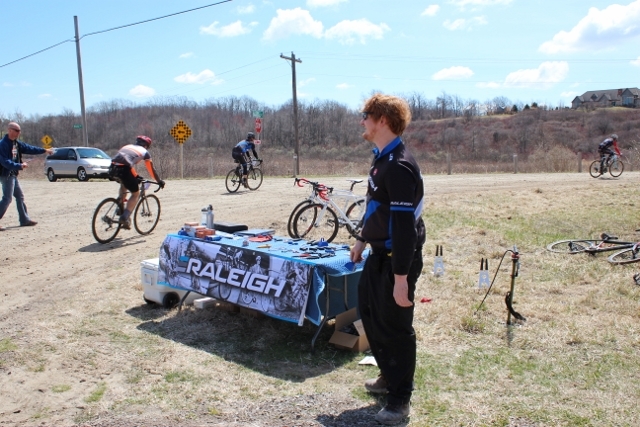 In addition, Raleigh mechanical assistance at the event offered flat repairs, chain repairs, and the all-too-frequent singlespeed modifications for the serious drivetrain mishaps out there. 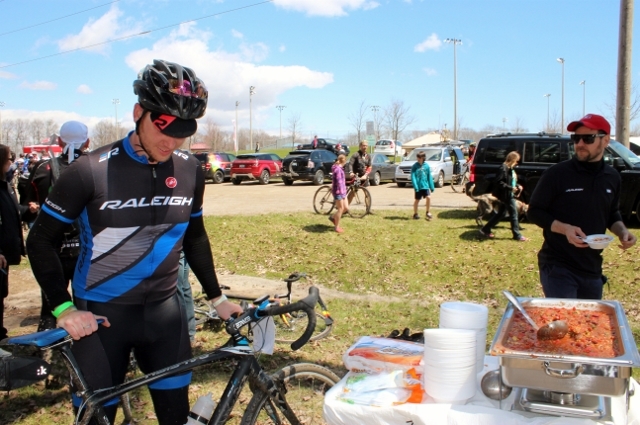 Racers were welcomed by Raleigh's “recovery chili” at the finish line which put a smile on many tired faces. 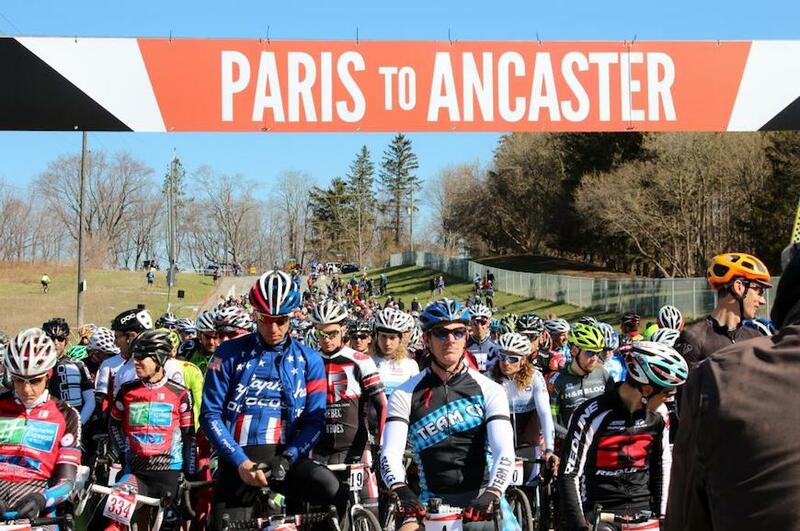 Through the glorious and ferocious landscape of Ontario, Paris to Ancaster is both a beauty and a beast. We'll see you next year.